Proxiblog has created an online buyer’s guide for bidders and auctioneers who asked us to provide more information on grading. This guide will appear in three parts as occasion arises. This is part II. As in the first post, these coins were offered on the auction portal Proxibid where numismatic standards mostly are determined by auctioneers rather than by the seller or portal. However, as Proxibid lacks the level of quality control on eBay, for example–a good and bad thing, by the way–this guide will help you in identifying flaws in coins or lot descriptions so you can bid accordingly. Those with numismatic knowledge can score high-quality coins on Proxibid; those with little knowledge, can lose big bucks, as some of these pitfall photos below indicate. Our last coin in the first installment was numbered as #7. We begin with #8 in our consecutively numbered online guide. 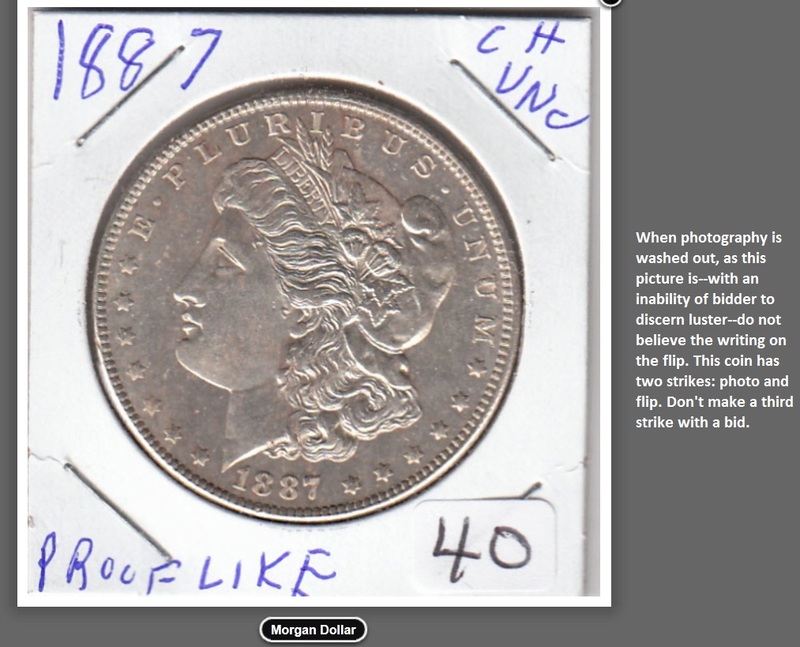 This entry was posted in Articles, Best Practices and tagged American Numismatic Association, Auctioneers, AuctionZip, Best Practices, Coin Auction, iCollector, National Auctioneer Association, Proxibid, Proxiblog. Bookmark the permalink.